Sons & Daughters is the type of place you don’t want to share, but do. This oddly named restaurant opened its doors less than a month ago but is already making waves with glowing reviews on Thrillist and Yelp. Purple ceilinged with wall hogging pictures and giant glass chandeliers, the space oozes hipster charm; it’s also small enough to make you forget you’re not in New York. You don’t need a reservation (yet) but beware of Mondays and Tuesdays, since it appears this is holiday time for its creative chefs. The freshly pressed menu was thoughtfully short and the waitress, unusually friendly. 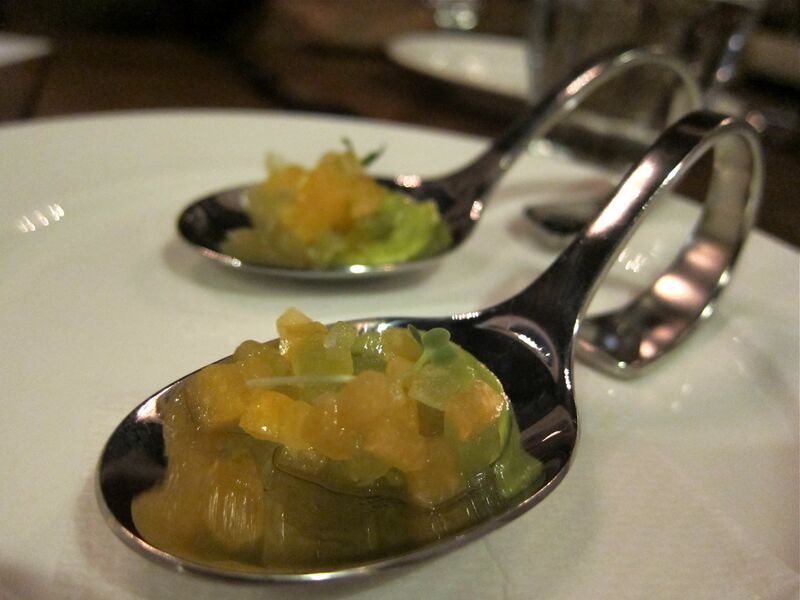 She started us off on the right foot with warm bread and a luscious mango-melon amuse bouche. 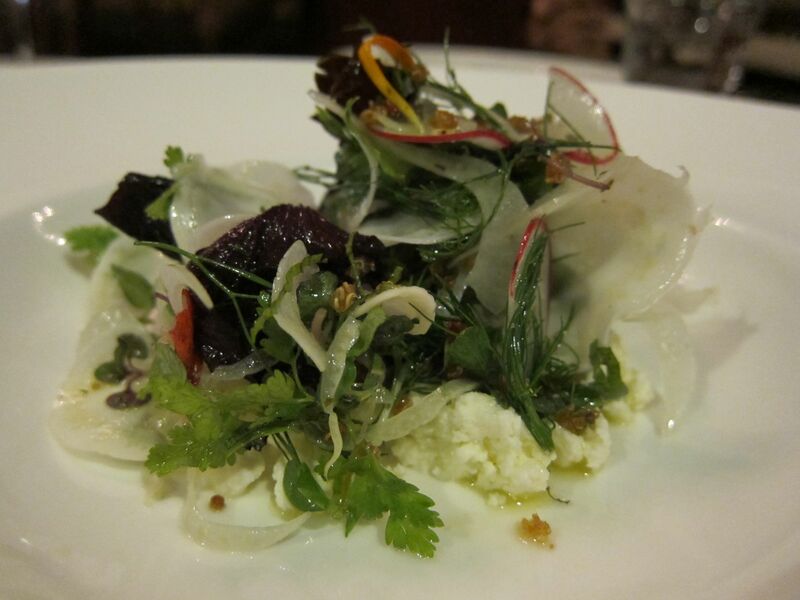 Next was a zesty herbed salad served with refreshing eucalyptus and delicious curds. 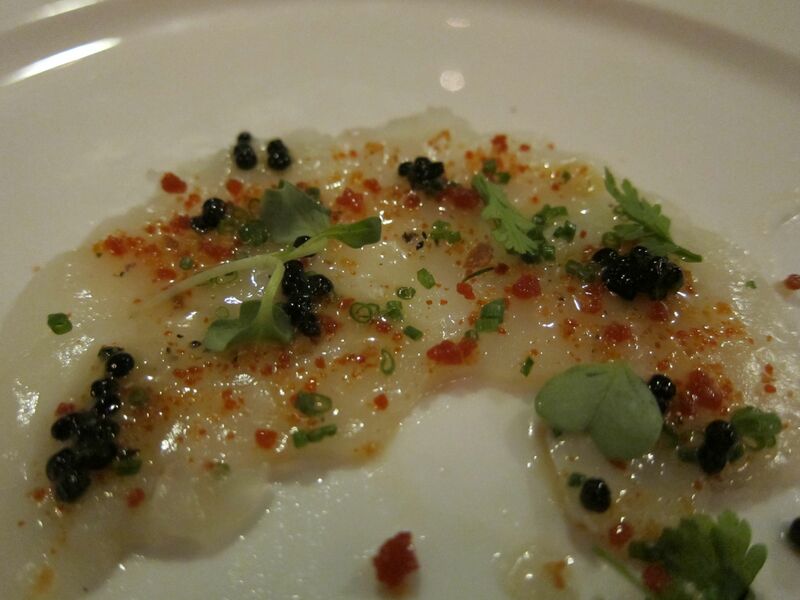 The lobster carpaccio, topped with caviar and dill, was unbelievably delicate and the squab, beautifully presented. 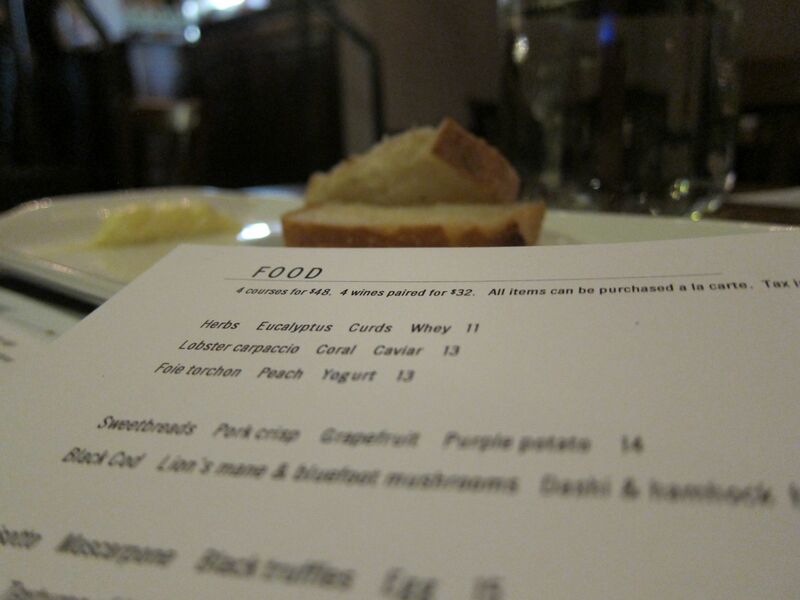 We’d ordered the tasting menu, which at $48 is an absolute steal, and were blown away by the delicious wine pairings. My only complaint was the truffle risotto. Soupy and bland, this dish was larger than the others and not interesting enough to finish. After a yoghurty palate cleaner, we chose the raspberry mousse for dessert. 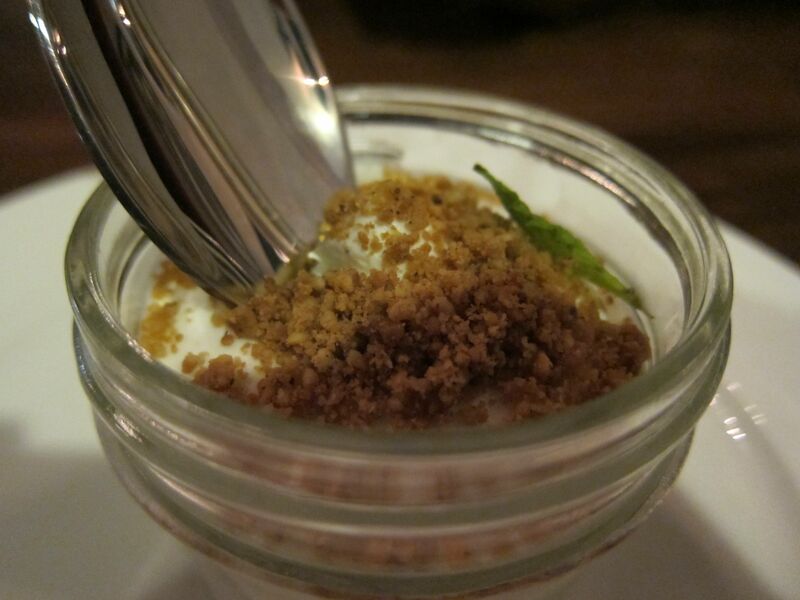 Topped with gingery crumbles, this was by far one of the best desserts I’ve ever had. (I’m really not big on desserts, but I’m a massive Tiramisu fan if that’s any indication.) 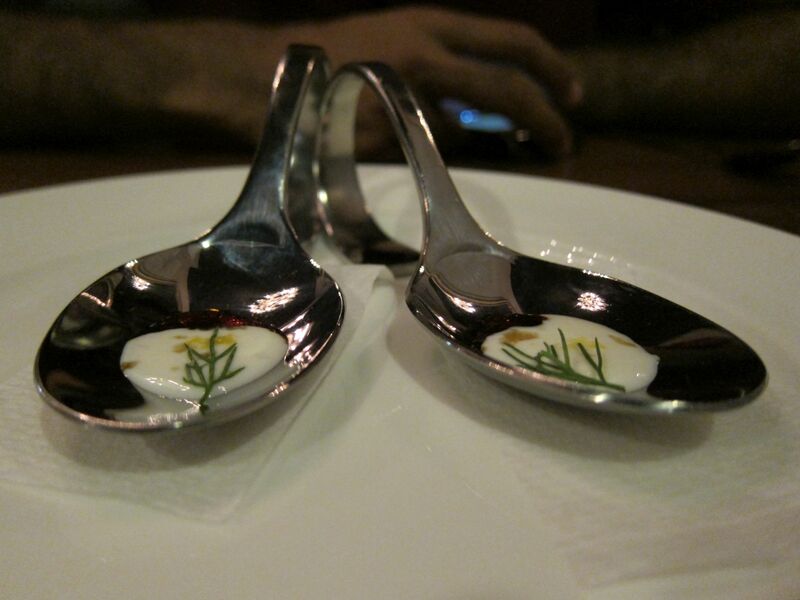 Even with the small portions, we were pretty stuffed by now but happily accepted a last, tiny amuse bouche (or is it called something else at the end of the meal?) of jelly topped pineapple cubes. Damage: Around $140 for two with one tasting. Verdict: Absolutely wonderful. The appetizers are slightly stronger than the entrees but the entire experience – presentation, service, ambience, vibe – is just outstanding. Definitely a place I would recommend and revisit… even if it means having to make a reservation next time. Previous Previous post: Is Running Making You Fat?